After a few issues of side adventures, we finally reunite & with Gertrude. When last we saw our favorite sociopathic woman trapped in a little girl’s body she had just barely survived her first day in hell before being sent to a simulation of Fairyland. Apparently Gert has been reliving her original Fairyland adventure, possibly in a time loop? She is going through an adventure she’s already had when she runs into Duncan, the boy in the dragon pajamas, and Larry, her former insect sidekick. They’ve descended into her personal hell to bring her back for the battle against the newly resurrected Dark Claudia. The past few issues have been fun, but it’s great to have the band back together. Gert even has a profound moment where we see her acting almost human for the first time since the story began. It’s weird seeing her grow as a character when she’s still just a mad sociopath. Stanford Yu is a good-hearted son of a janitor who bonded to a good-natured giant robot from space - and now he’s on the frontlines of the Second Shrag War. After a rocky first battle, Yu and the other new mech cadets are put on sanitation duty - but the war isn’t going to wait for them. Teaming up with Skip Tanaka - the first human to ever bond with a robot - the mech cadets take the battle into space to fend off a mothership carrying a continent-sized sack of eggs that could infest the entire planet. And that’s just the enemy in space. On Earth, a new man-made robo is said to be strong enough to wipe out the Shrag. The only problem: it needs the hearts of other robots. Morality and ethics are at the front here. Everyone in this story is a soldier at war. The seasoned veterans and generals know that they may have to sacrifice their very lives for the sake of humanity. But not Yu. He’s determined to win the war with the least amount of casualties as possible. That means no self-sacrifice, no one gets left behind. Yu’s character is my favorite part of the series. His determination drives everyone in an exciting story from start to finish. 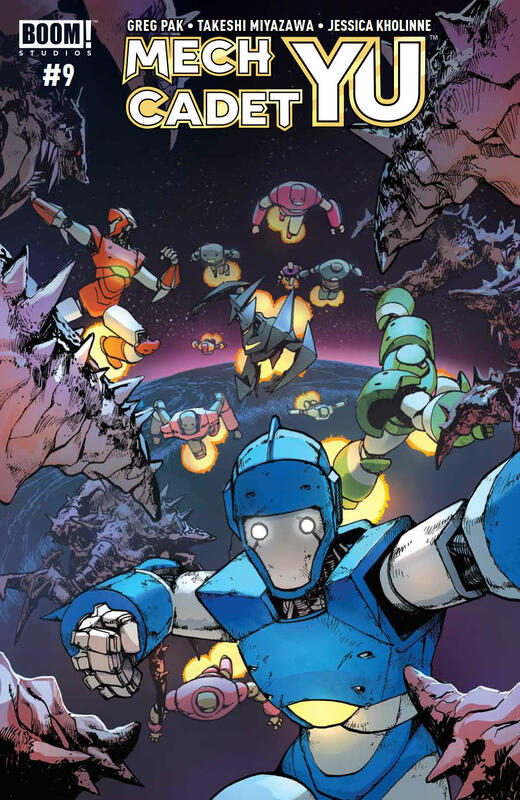 Get caught up with Mech Cadet Yu Vol. 1 here and pre-order vol. 2 here. 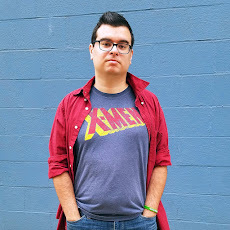 A new series from writer JODY LEHEUP (SHIRTLESS BEAR-FIGHTER! 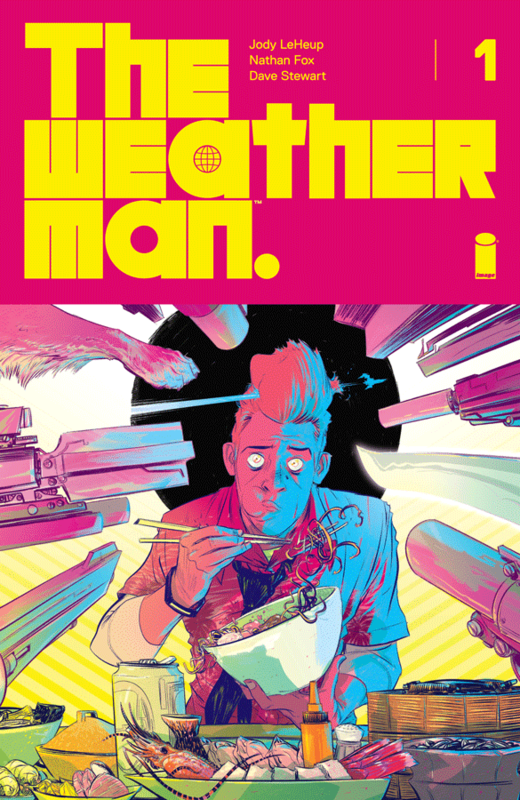 ), artist NATHAN FOX (DMZ, HAUNT, Dark Reign: Zodiac), and colorist DAVE STEWART (Hellboy, RUMBLE), The Weatherman follows Nathan Bright, a meteorologist on Mars who is accused of wiping out nearly the entire population of Earth. Nathan is my kind of character! He sleeps in and gets to work late, but still manages to pull a successful show together and keep his job. He's happy-go-lucky and everything always works out for him. That's why the prospect of him being accused of committing the biggest crime ever is so intriguing. I'm already 100% convinced he's innocent, so I want to see how he gets out of this one! When it comes to local news, everyone skips the weather portion. But trust me: you won't want to miss this! 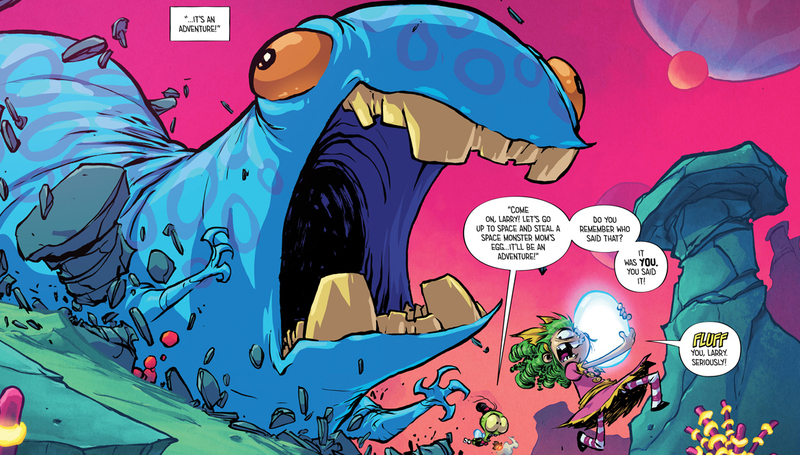 The characters are funny, the sci-fi world-building is phenomenal, the artwork is gorgeous, and the whole thing comes together to hook you right from the first pages! Everyone thought the Port of Earth was going to be beneficial to humanity. But with the amount of incidents and loss of life that have occured since it opened, public opinion is low on whether or not the Port should remain open at all. As the battle ensues at Earth Security Agents HQ, Agents Rice and Mcintyre discover a shocking secret about the port. With no time to discuss it, the Agents track their alien target to an unlikely battlefield: the Port of Earth itself. Port of Earth has been doing a great job with creating a science fiction story set in a future that seems all too topical in today’s political climate with regards to immigration, the energy crisis, and militarization. It’s been great having our two main characters each represent a different side of the political spectrum. Rice is there to protect the earth, McIntyre just wants to kill aliens no matter what. 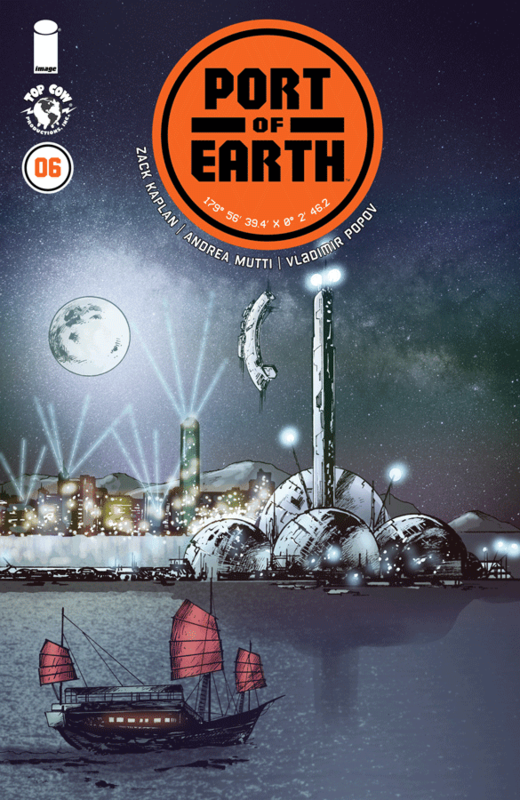 Port of Earth is a fantastic series and one of the best science fiction stories of the year. Get caught up by ordering with Vol. 1 here. Lou’s attempts at communicating with his captive lover through his comic strips seem to be working. But as he faces losing his job and thus his ability to contact her, Lou get a bit desperate and finally confronts the four mysterious blonds. This story has been a lot of fun as a period piece crime dramedy and it really gives me Big Lebowski vibes. I’m digging this story and am really looking forward to seeing where it goes as we race towards the finale. 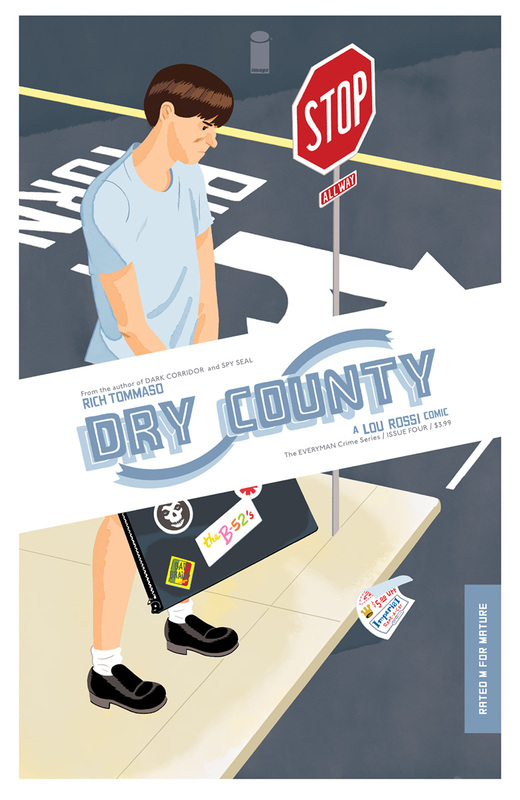 Pre-order the complete Dry County collection here. Philo was searching for love. And it found it. Sort of. After acquiring the power to see the Cupidae that make love work, Philo goes to war with love itself. With a chainsaw. This issue marks the end of an ultra-violent story and as such, I don’t want to get into too much to avoid spoilers. A full review of the entire story will be coming soon. Click here to pre-order the entire story in one collection. What happens after the end of the world? In this second issue, the antisocial former bard called Hum is captured and his only help may be someone from his past. I’m not sure about this one yet. I like the characters but I don’t think we got enough of the premise in this premiere issue for me to really decide if I want to keep following it. I’ll keep an eye out for the second issue. 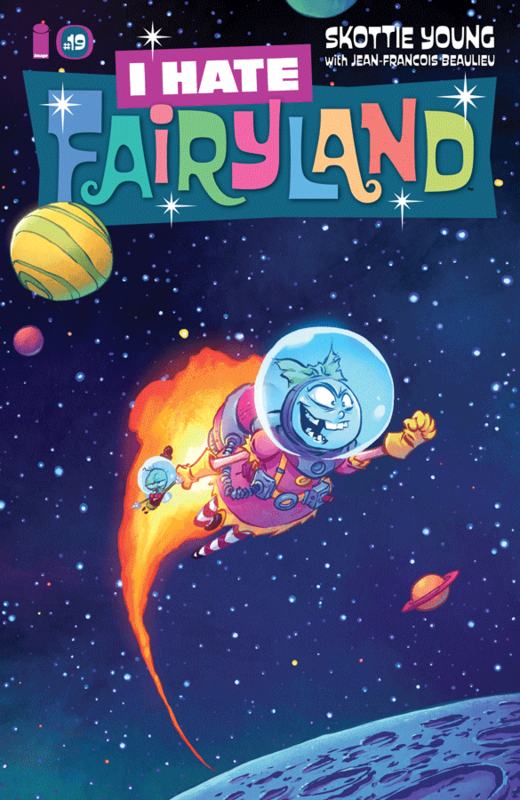 I bought the first issue of I Hate Fairyland and I liked it, but I fell behind in the series. I need to pick up a couple of the trades. It's soo good! Vol. 1, 2, and 3 are out, Vol. 4 comes out in September! It's also available on Hoopla.